All aspects of case law, as in employment law, rely on precedents, or established principles that arise out of previous judgments. Precendents are the foundation upon which future decisions are based and referenced, which allows some consistency in the development of where the law stands on issues. Sometimes, if judgments don’t follow precedents, it can be a reflection of the changing times or a re-igniting of a debate on the issue. If this happens, it can mean a period of uncertainty on where the law stands. 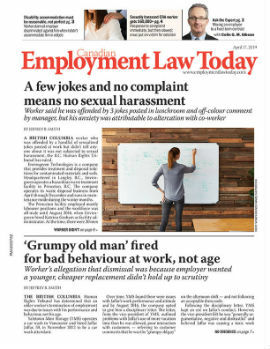 Recently, Ontario courts released two decisions that seemed to change the way things were done in two aspects of employment law. One seemed to ignore established principles regarding employment standards minimums in termination provisions, while another saw a court exercising powers regarding human rights issues in employment that were available but had been previously unused. As we run headlong into 2014, two recent cases decided in 2013 by Ontario courts should be on every employer’s radar.